Sorry I'm tardy in posting today's giveaway winner. 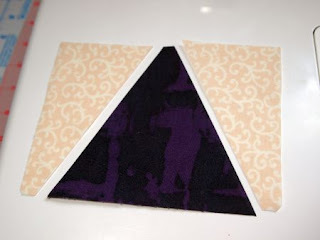 I was distracted sewing the next block for Sugar Block Club ! 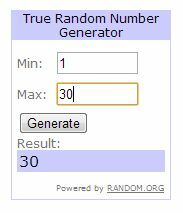 There were 30 comments, and the random number generator chose the 30th comment! To further prove that random is as random does, the winner is Susan, who won one of my earliest giveaways! I love Susan's conversation starter. Who would you want to talk to? I'd like to discuss leadership with Antarctic explorer Ernest Shackleton. 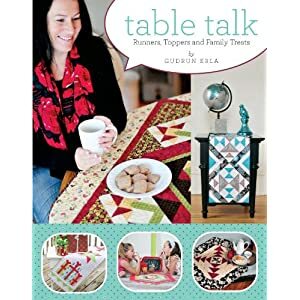 Susan, this autographed copy of Gudrun Erle's book will be on its way to you soonest! Today's Tuesday Tool is the Tri-Recs ruler designed by Darlene Zimmerman and Joy Hoffman. 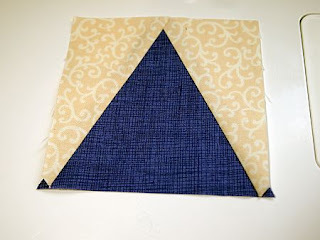 I pulled it out for my next Scrap Squad quilt. 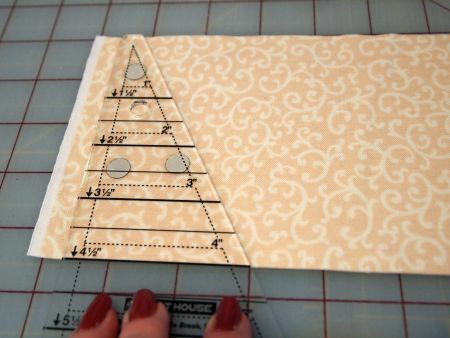 The pattern calls for paper pieced triangles within squares, but really, with this slick little tool I can make them faster and just as precise. 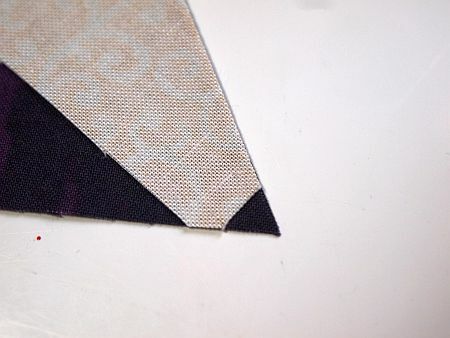 The strip width for the "recs" triangle is the same as the center triangle. Fold the strip in half with wrong sides together and cut both layers at once to get two mirror image "recs." 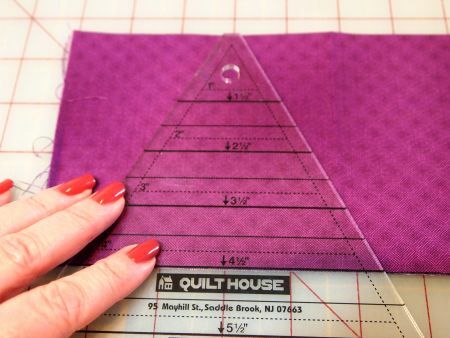 For each square, cut one triangle and two "recs." 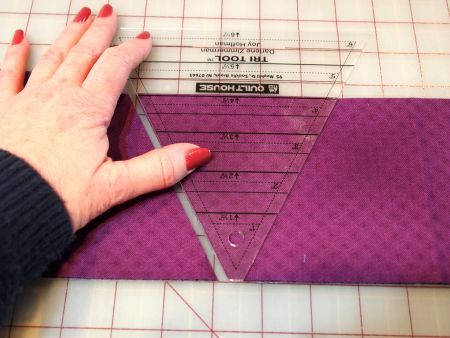 The beauty of Darlene's ruler is the "magic angle" on the "recs" triangle. 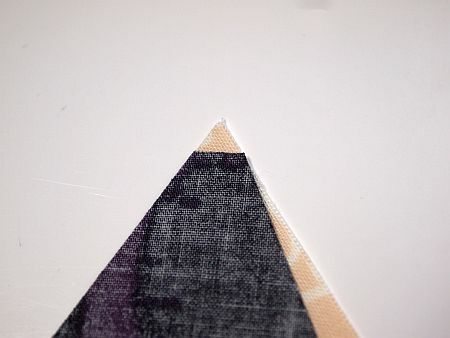 See how it nestles right in the corner of the triangle piece? 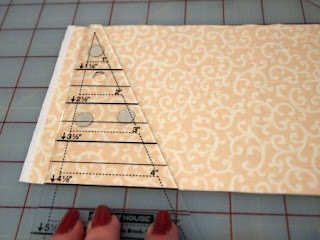 Stitch a quarter-inch seam along the long side of the triangles and press toward the "recs" triangle. 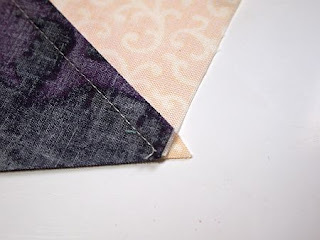 My blog post for Quilty Pleasures won't be published until mid-May, so this project is going back into hiding until then! 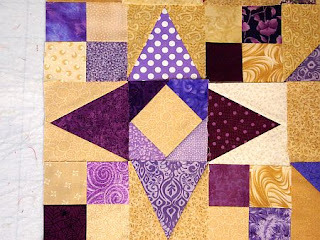 Go to Quilty Pleasures later this week to see Nicole's version of the same quilt. Shackleton is an amazing man with a huge story to tell. I am fascinated by the tale of his trip to the Pole where he had to sail hundreds of miles and then walk a lot too to get help. Incredible Endurance and tenacity and intelligence under fire. One of history's true heroes. Congrats, Susan, how fun that you won. Thanks you so much Marti - I have been overwhelmed by my luck lately! Maybe my conversation starter should have been "How many Giveaways have you won lately??" 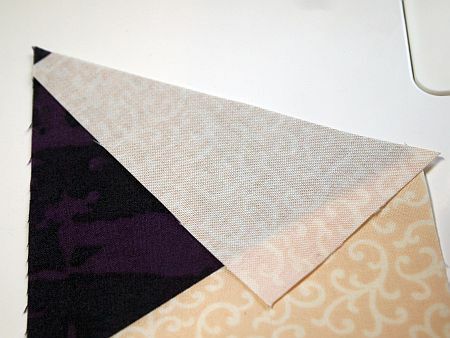 I have to confess - this is the third this month - I better give it a rest now! That ruler set looks like a very handy gadget... and of course I love the block - its purple!! Design Wall Monday and . . . Spring?